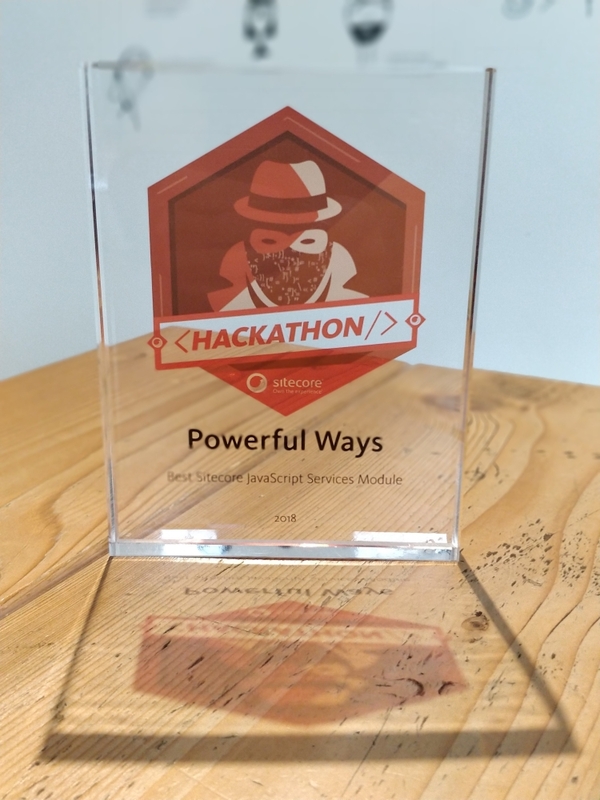 This year, 74 teams from 25 countries participated to the Sitecore Hackathon 2018. For a third year in a row, I really enjoyed participating to this amazing 24 hours’ community event. I wanted to experiment with JSS for a while and was expecting it to be a category this year. I attempted to build a team of other JSS enthusiasts by asking colleagues, local friends, remote friends, and even publicly on Slack. Unfortunately, I did not find any teammate before the registration deadline, so I still registered the Powerful Ways one-person team. Being alone would not stop me from participating and I already had a project idea. Every year, I am looking forward to this event to learn new things, have fun, and prove myself I can create a working solution in the short time frame. The goal is never to win. It is an opportunity for me to pause everything around for 24 hours and work on improving my skills and knowledge. I also try to prepare a few weeks before by having a look at the tools and technologies I expect to need. I had already installed JSS and setup the basic sample React app a few months before. React being a new framework to me, I learned its basics during the 2 weeks prior to the Hackathon. As I had no team, I decided to participate from the comfort of home. However, I was sharing the space with my family and did want to spend some time with them too. I decided to adopt the Pomodoro technique that splits work in blocks of 25 minutes with 5 minutes breaks in between. After every 4 blocks, a longer 15 minutes’ break is required. This allowed me to see them frequently and gave me the opportunity to reflect often on the state of my project. Was I losing time on small details? Should I continue in that direction or take a step back? What is next? To stay motivated without teammates, I knew I would need the participation of the Sitecore community. I posted my achievements, blockers, and next steps on Twitter after every pomodoro. This was really appreciated by my followers, generated great feedback, and even some solution ideas. I created a simple blog feature module for JSS built websites. I also created a demo site based on my own blog using the module. It features a posts list page, a full post page, and an about page. Posts have a title, an author, a date, optional tags, an intro, and a body. Most of them editable from the Sitecore Experience Editor. I could not have been awarded if I had not met all the submission requirements. There are many and they are strict. They are in place to facilitate the work of the community and Sitecore judges. They are also very useful for the people who would like to use your module for their project or just for inspiration. I blocked the last 3 hours just to create the documentation, create the video, and upload it. I want to congratulate the 3 other category winners as well as all the people who participated. Without your participation, there would be no event like this. I highly encourage everyone to participate to the next edition of the Sitecore Hackathon. With colleagues, friends, community members, or alone. Have fun doing it and learn new things. You might be the next winner. Who knows? Keep your eyes open for a Catching Exceptions episode by Mark Stiles about the Sitecore Hackathon in the next weeks. 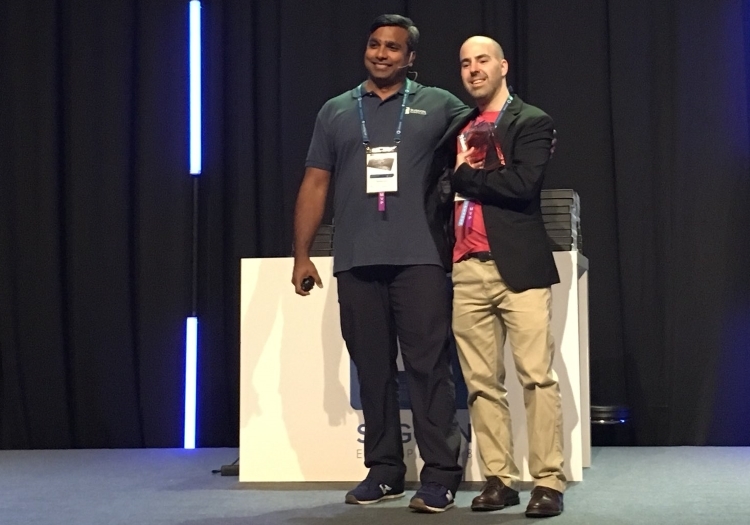 He interviewed me and Pieter Brinkman during SUGCON.